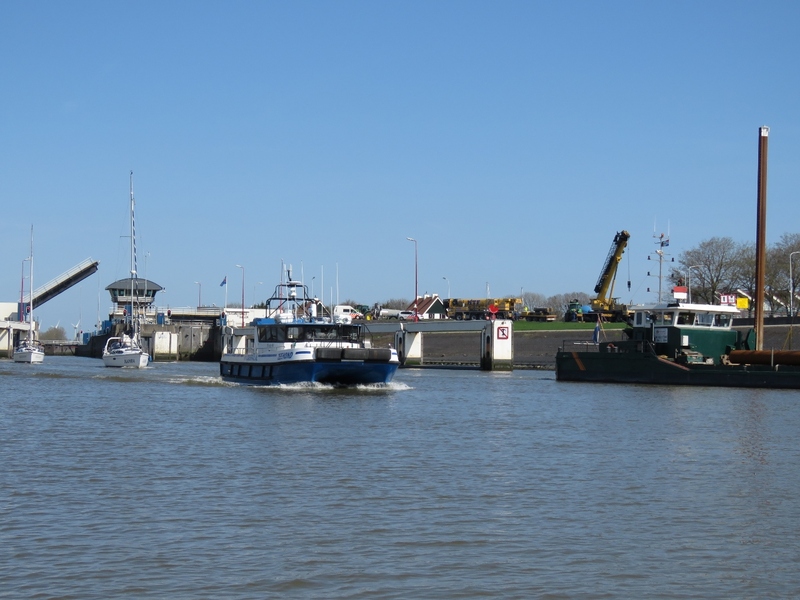 After Boot Akkrum delivered our new tender, we went out on a tour of the Harlingen harbors to get the new Honda 50 broken in quickly. 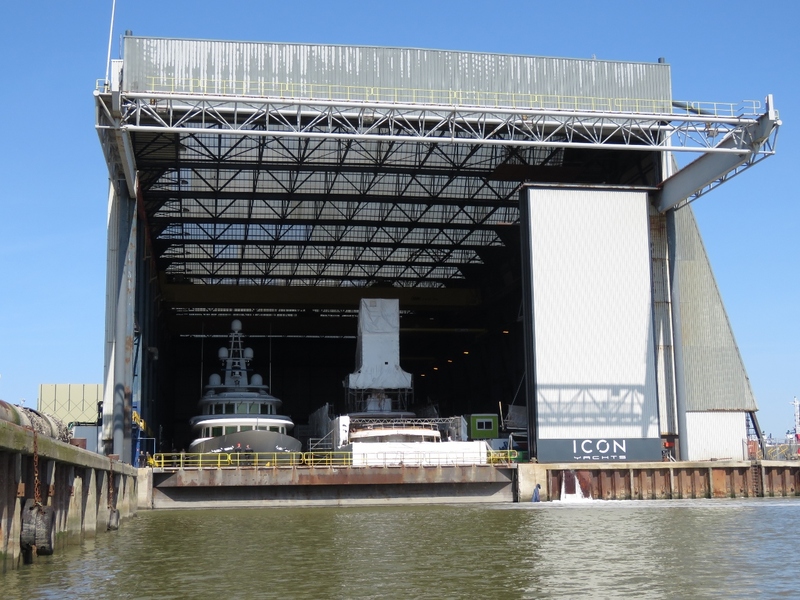 We found a lot there—Harlingen businesses include Dutch shipbuilder Icon Yachts, several boat yards with focus on the offshore oil industry, and barge offloading facilities. 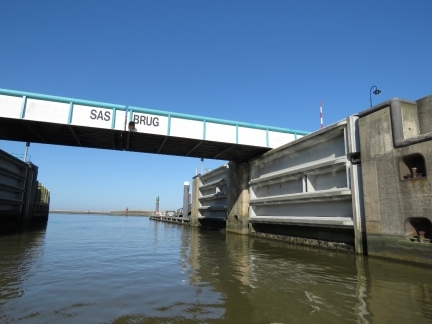 These are the big flood-prevention gates that are closed when stong west winds blow during high tides. We were planning to take the lock through to the inland canals, but it was closed temporarily due to a serious traffic accident requiring the bridge be kept down for emergency vehicles. 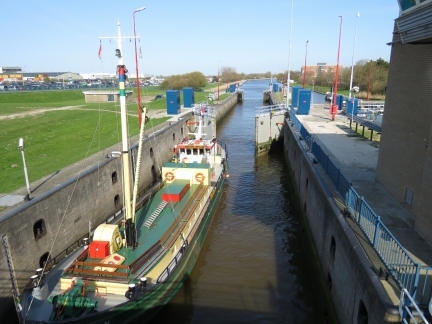 Our tender doesn’t actually require the bridge to be lifted, but the locks were close to all traffic. Looking down the nothern basin, Noorderhaven. The basin we are in Zuiderhaven, is deeper and wider with more commercial veseels than pleasure craft. 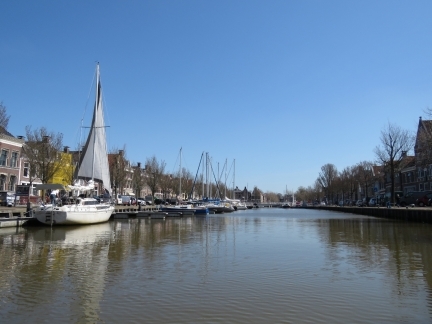 Noorderhaven has a maximum depth of 2.5m and contains mostly pleasure craft. 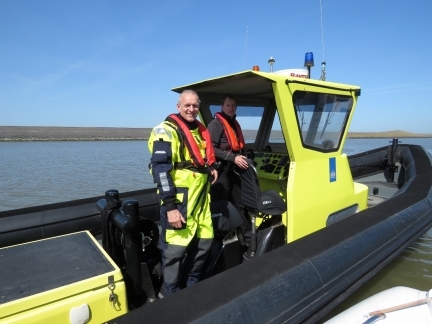 A friendly visit from KMar, the Koninklijke Marechaussee, who perform military and civil police duties. Here they are checking the registration status of our obviously-new boat and asking us to connect the emergency engine cut-off tether, since it’s a fast boat. 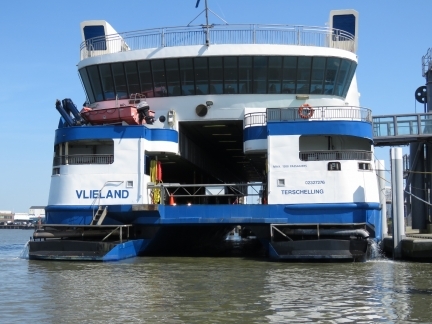 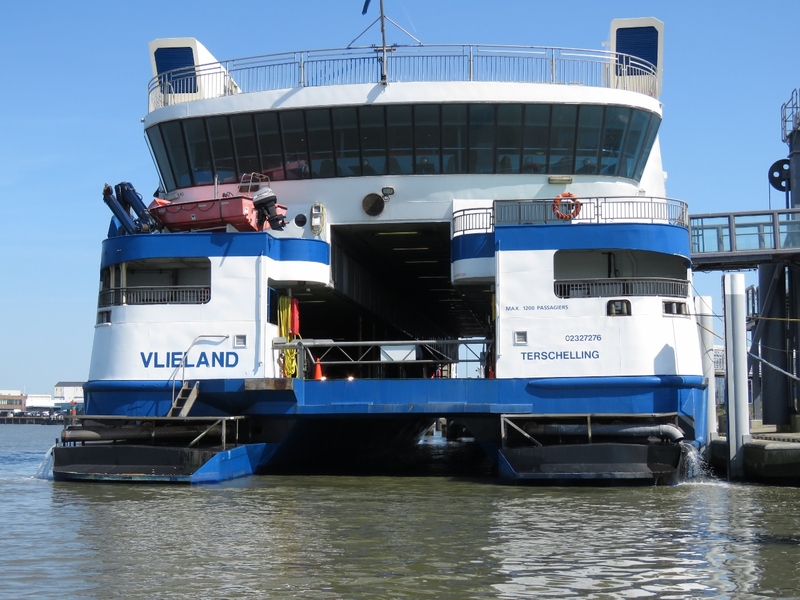 One of the ferries that run between Harlingen and Vieland at the outer islands. 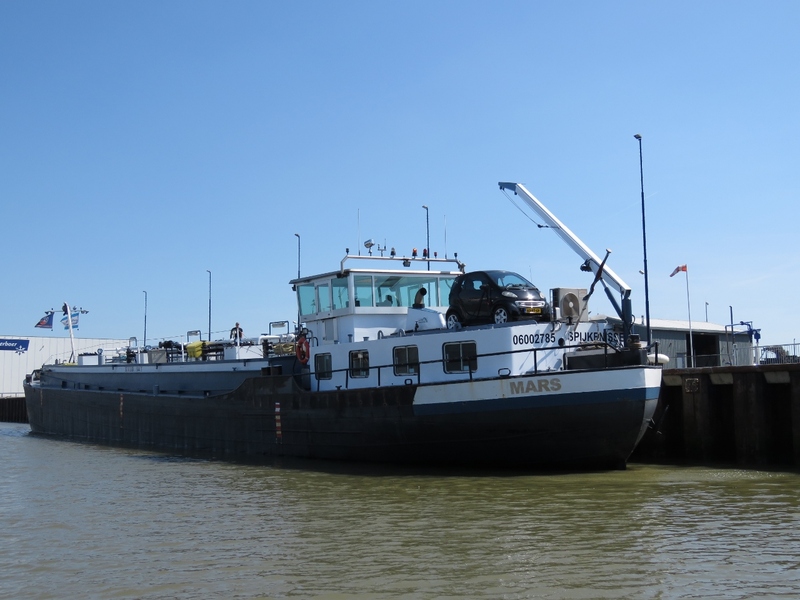 We were intruiged to see a small car mounted on the stern of this commercial barge. 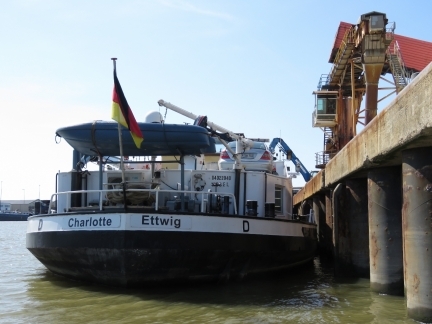 The German barge Charlotte Ettwig also had a car mounted on the stern, plus a nice tender. We realized that the operators liveaboard and travel throughout the canals, using the car for shoreside transportation and their tender for water-based excursions. 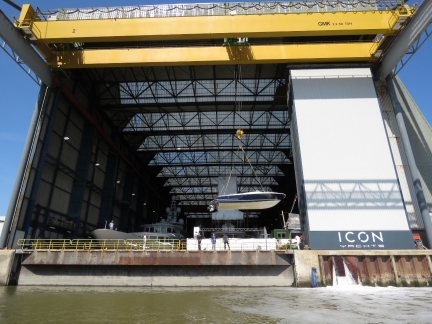 Dutch shipbuilder Icon Yachts was founded in Harlingen in 2005. 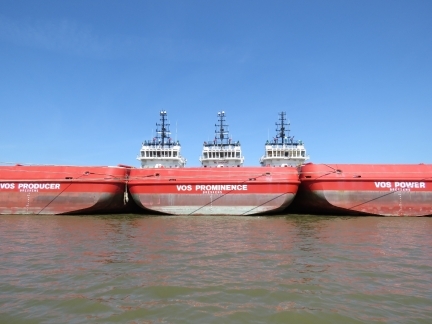 Their massive heated dry-dock can handle boats up to 150m long with a 7.5m draft. The 248ft Dutch-built Ebony Shine was built by Feadship in 2009 at their Makkum shipyard just south of Harlingen. 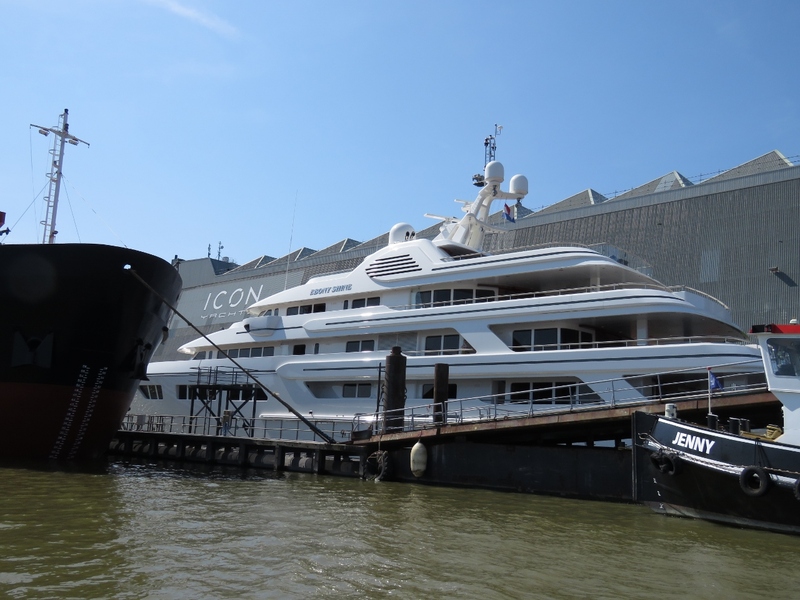 The Ebony Shine was in the news in 2016 when Dutch customs siezed the ship as part of a corruption investigation of the owner’s financial affairs. 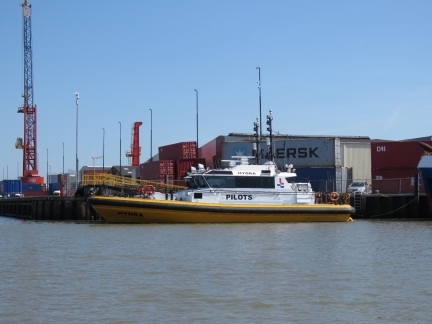 The 262-ft (80m) subsea support/walk to work vessel VOS Start moored at the Port of Harlingen. 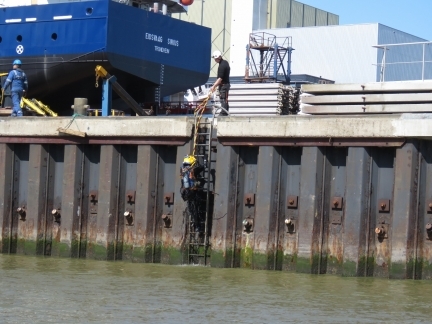 Walk to work (w2w) vessels are equipped with active heave compensation gangways and are designed to give safe access to offshore structures. 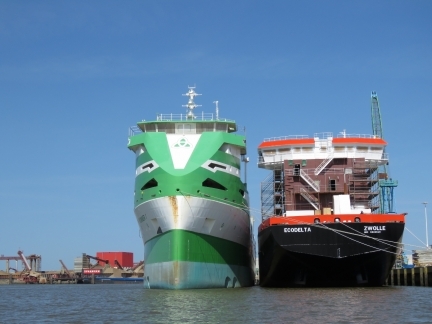 The ship was built only a year ago at Fujian Southeast Shipbuilding in China. 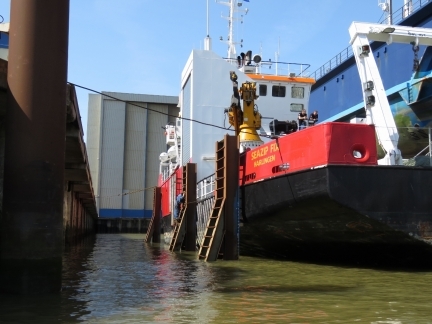 The survey vessel SeaZip Fix being prepared for lifting at Damen Shiprepair. 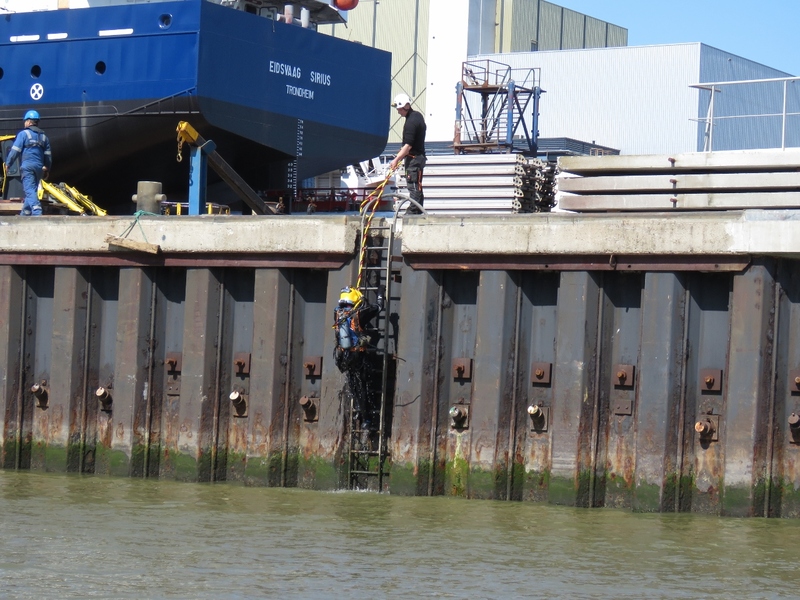 A commercial diver climbing out of the water after working on the lift supports for SeaZip Fix. 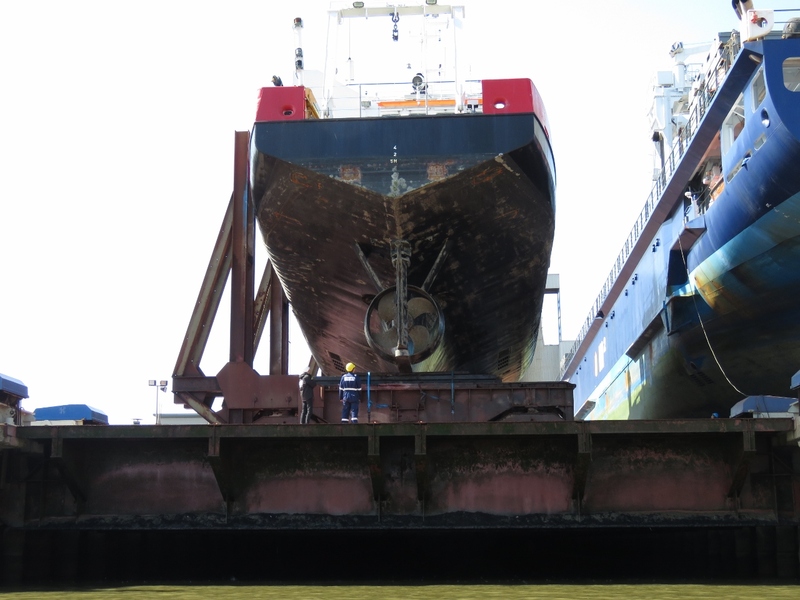 at the Damen Shiprepair in the Port of Harlingen. 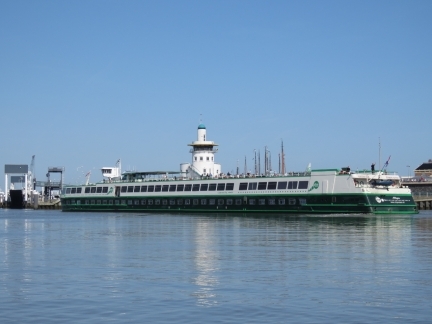 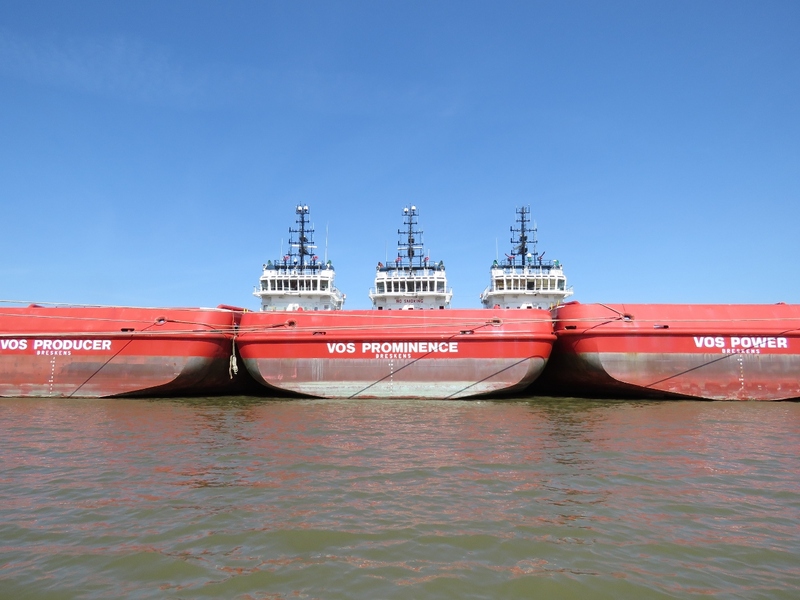 The VOS Producer, VOS Prominence and VOS Power are one of two hundred vessels owned by privately-held, fourth-generation Dutch company Vroon. 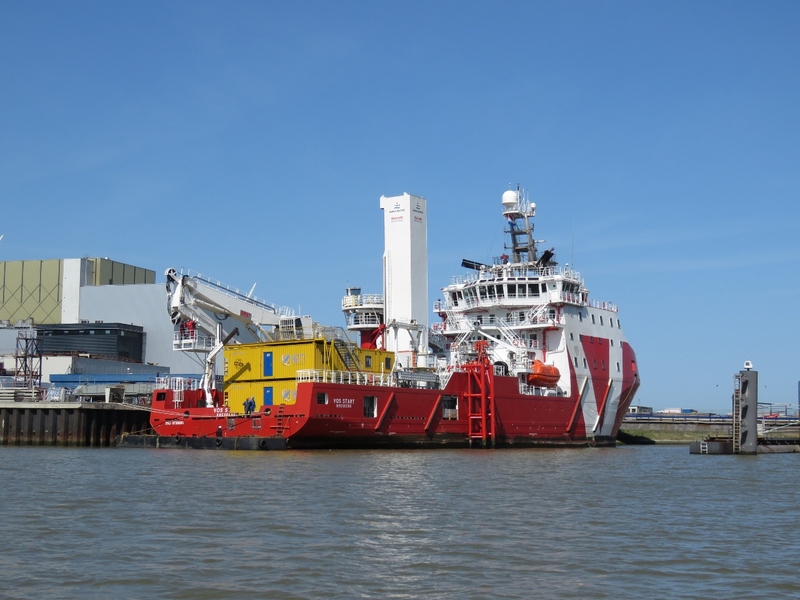 The pipe-supply vessel Joint Runner I looks incredibly narrow, but what’s really going on is one third of what is showing is normally under water. The azimuthing props and other mechanical equipment are not yet installed. The vessel was launched in Kampen, Netherllands in 2016 and is being completed at Barkmeijer Shipyards in Harlingen. 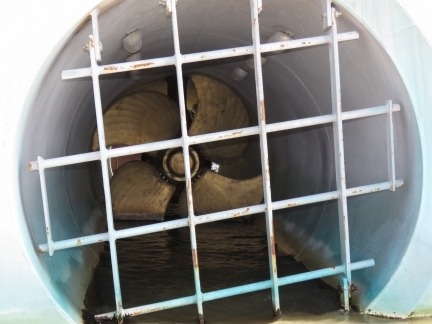 Looking down the thruster tub on Joint Runner I. 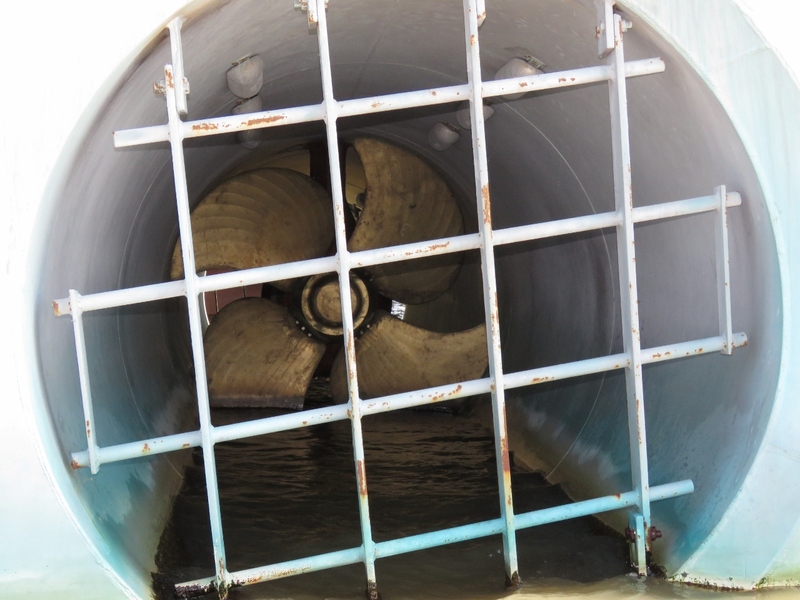 Because the vessel is floating so high, the bow thruster tube is almost completely exposed. 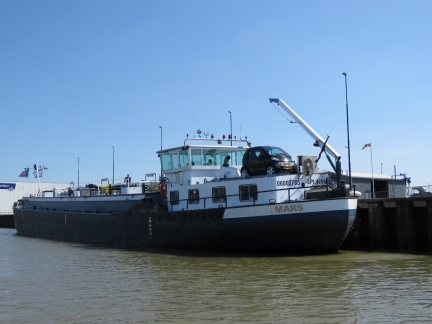 By the time we’d returned to Damen Shiprepair, SeaZip Fix was already out of the water. That was fast. The gantry crane at Icon Yachts lifting a beautiful classic Chris Craft onto Utopia, the ship on the left. 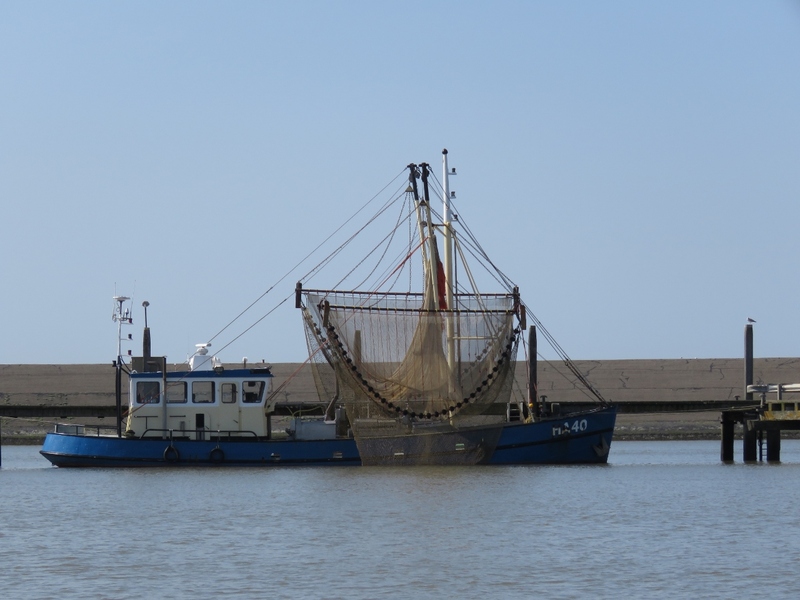 A fishboat drying its nets. The lock had re-opened again when we passed, with several vessels exiting the canal. Trinity House lightvessel no. 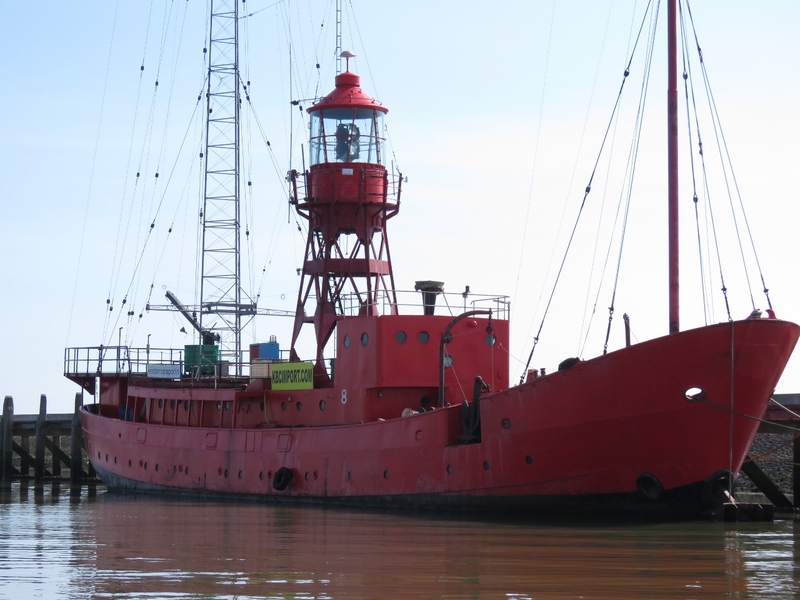 8 was an active light vessel in the UK between 1949 and 1991. 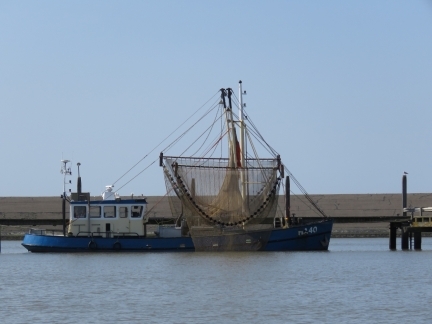 In 2005, Radio Waddenzee bought the ship and brought it to Harlingen for refurbishing and to use as a broadcast vessel. 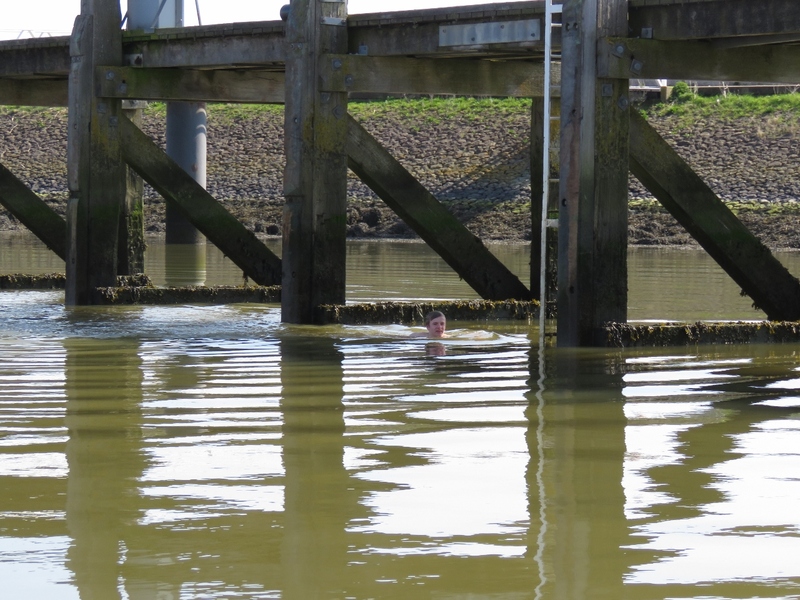 We were a little surprised to see swimmers in the water. 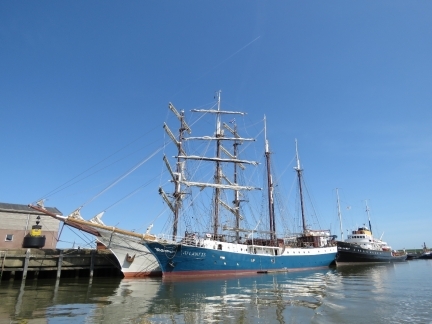 The water temperaturs is 60°F (15.5°C) where we are berthed, so presumably it’s colder out here. 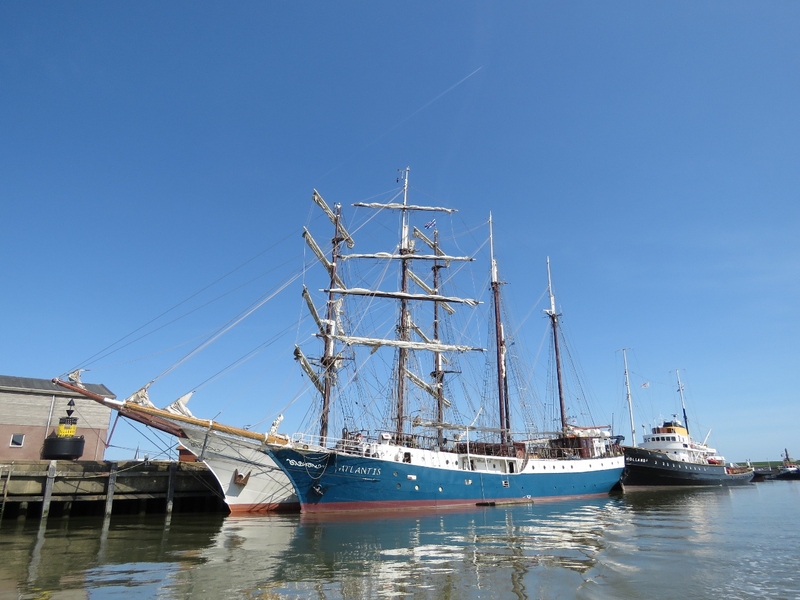 Harlingen is one of the host cities for the 2018 Tall Ships race and several are moored here already. 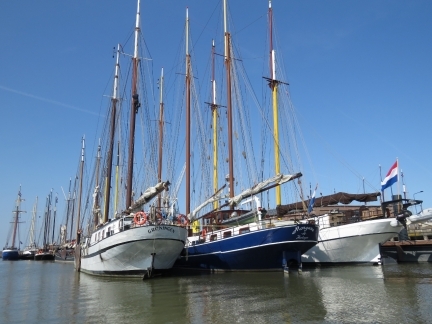 Dozens of Dutch charter sailing canal boats are moored in Harlingen. 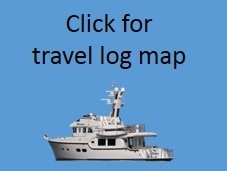 The large hotel canal boat MS Allegro arriving into port. 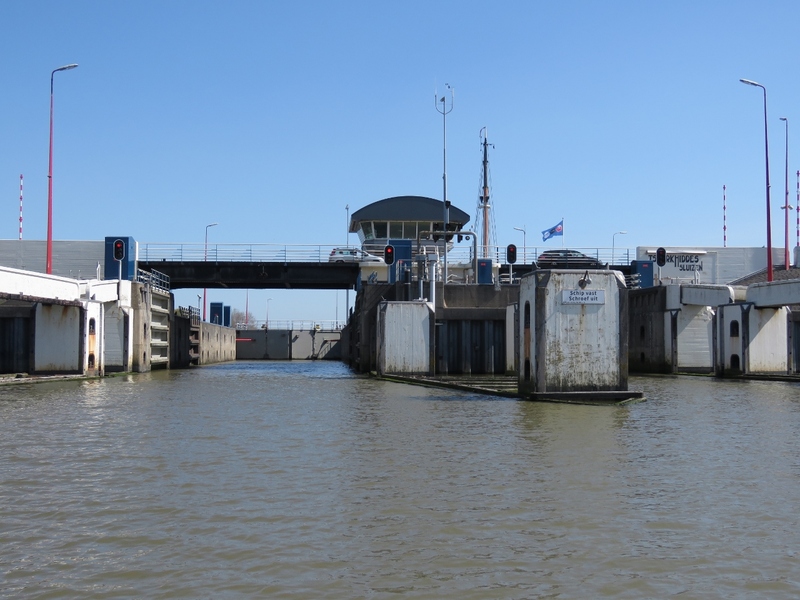 We returned down Noorderhaven and tied off the tender for a walk to the lock. 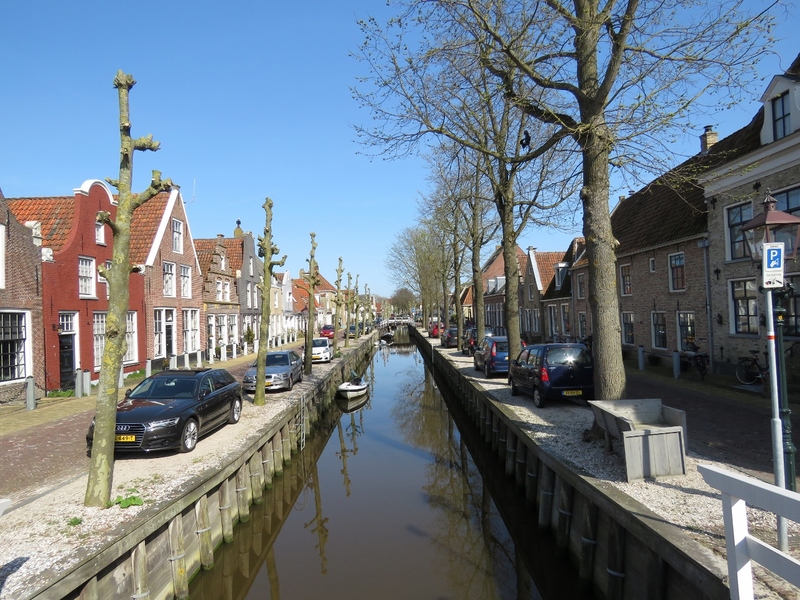 This is looking down one of the canals in Harlingen—it’s such a beautiful city. 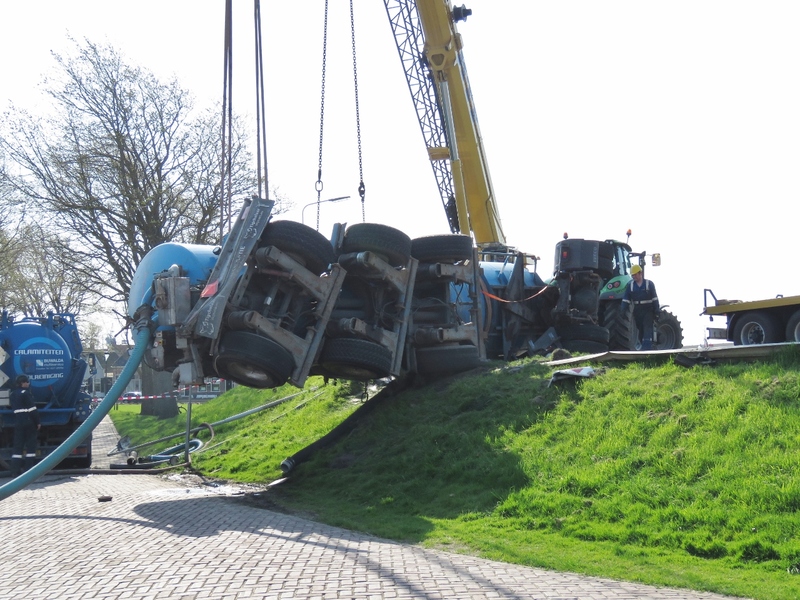 The the accident that closed the lock was an overturned trailer. It took several hours to clean up. A barge locking through at Harlingen from the canal to saltwater.